Asamayama, at nearly 2,600 meters, is one of Japan's larger volcanos. 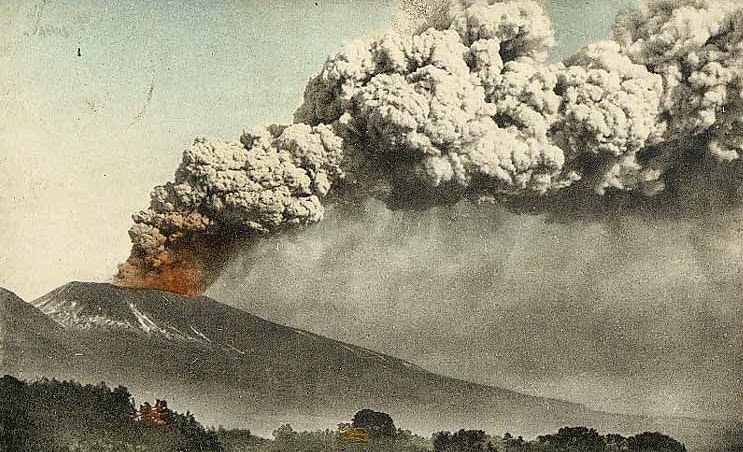 It remains active and although there hasn't been a major eruption for approximately 300 years, a decade ago it threw enough ash into the air to make everyone clean their cars in Tokyo, some 200km away. Back in 2010 I was hosting a birthday party in January and took everyone up to the snows on the slopes of the mountain and within thirty minutes was summarily asked to remove our contingent from the area. The next morning it erupted again, but this time just a small example of its efforts though I should thank the official for warning us to leave. The structure of Asama is complex and the peak is actually closed to the public, toxic gas emission being regular enough to endanger hikers as they traverse the path to the summit. It is a beautiful volcano though and twenty five thousand years ago it would have looked just like a child's drawing of what one should look like. And then it blew itself apart but you can still see the western fringes of the remnants of that explosion. There's another reason for its fame though. 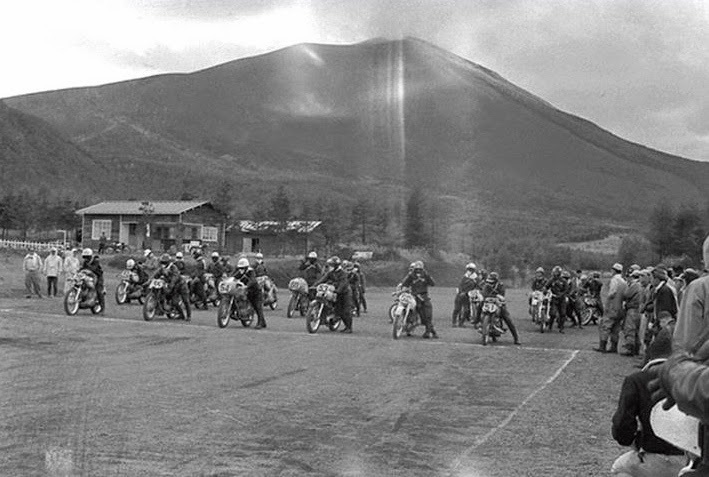 In 1955, with Japan just recovering from the war, it became the birthplace of road racing in Japan with the Asama Kazan (volcano) race. A 19.2km track, with a starting line in north Karuizawa, the track encircling the volcano. Honda made it's name there have bought war surplus generator engines and strapped them to bicycles a just few years earlier. Today it is silent, no one races any more though there is a 3km stretch of perfectly straight road across the north side of the mountain is you'd like to take your bike for a ride. And last night the self defence force were testing their jets over the peak. Or it could have been aliens of course.